ssh -l root "LibreELEC IP"
Due to the way the packages are put together, updating LibreELEC won’t effect AceStream/EmulationStation/Libretro. They run from the storage partition so won’t be affected by the update (but the update may break a lib, so post here is something stops working). To launch EmulationStation there is an included add-on to launch it (it will show up under «Program add-ons»). 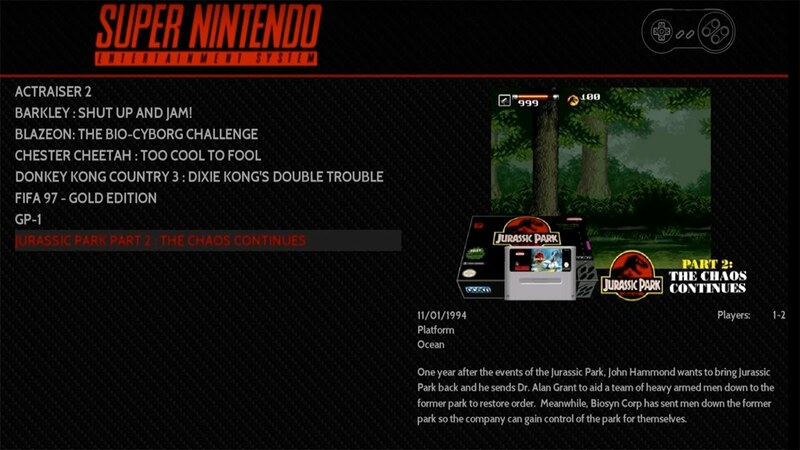 To return back to EmulationStation after opening a game, select «Quit RetroArch». To boot back into Kodi select the Kodi option within EmulationStation. Place your games in there (Emuparadise is a pretty good place to go looking for ROMs). EmulationStation can also use ROMs from a USB Storage device and SD Card. To get it working you must first format and label/name the SD Card sdcard. This is so when it gets mounted, its mounted as ‘sdcard’. If it doesn’t, it won’t work. Same thing with the USB Storage device. It needs to be labelled/named usb. Once you have done that download this zip and extract it onto the sdcard/usb. Now just place your ROMs into the folders. Once you connect the USB/SD Card, EmulationStation will look for ROMs on them. The only issue you may face is if you spread ROM’s for the same system over all 3 locations. What I mean by this, is if you put PSX games onto the USB, SD Card and in the internal storage, EmulationStation will show the PlayStation tab 3 times. Once for each location. So the best thing to do is pick one location per system. That way the same system won’t show up multiple times. The scraper in EmulationStation does work but it is a bit on the slow side (and can’t do Arcade games). You will be better off following theses guides to get the metadate and artwork (the app does work locally so you don’t have to do it over a network). Thanks to scottmu64, niabi &amp;amp; JoKeRz for making this possible. For PSX games that have multiple CDs (Final Fantasy Series, Metal Gear Solid etc.) you will be better off using the .PBP format (PSX2PSP eBoots). To be honest .PBP is the better format as it does compression. So will make your game collection smaller. Bluetooth controllers do work wireless, but you need to connect them within the LibreELEC settings. (I am using a PS3 Dualshock 3 Controller with my setup but it does take a few goes before it first connects. Once you get it connected that first time, it reconnects without any issues). If you have controller issues with RetroArch you can setup your controller within the RetroArch settings. But most controllers will work fine out of the box. When first opening EmulationStation it may not fit the screen correctly. If this happens just reboot the box and re-open EmulationStation. Also when first changing the theme. It might not apply. Again just reboot the box. These issues only happen when first using EmulationStation. 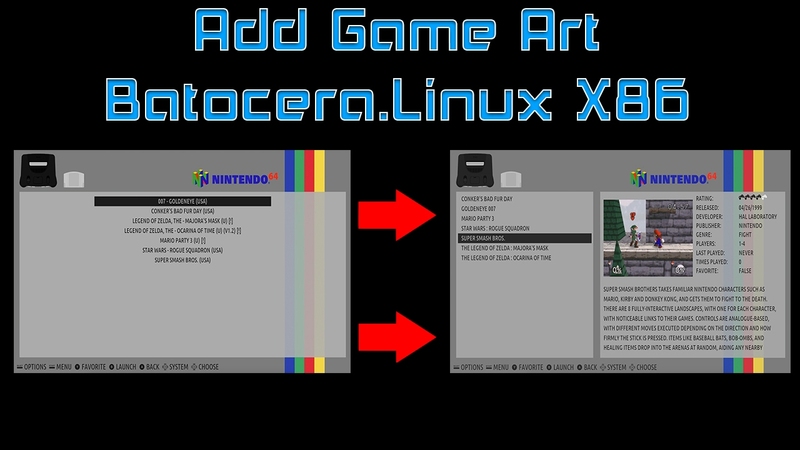 The version of RetroArch/Libretro comes from AlexELEC build as do most of the cores. The version of EmulationStation comes from niabi build as do the missing cores that AlexELEC don’t have. For the rest of the missing cores I get them from Lakka or JoKeRzBoX. The package should be super simple to keep updated. Will be the only things that will need replacing when there is an update from niabi, AlexELEC or Lakka/JoKeRzBoX (but read the release notes first. Not every update will be useful for this package). emulationstation & retroarch are in the /usr/bin folder on niabi & AlexELEC images. libretro cores are in the /usr/lib/libretro folder on niabi & AlexELEC images (only need the .so files). If you would like to add more cores to your system that are not included in this package, you will need to edit the es_systems.cfg file (in /storage/.emulationstation/) for them to show up in EmulationStation. For tips on how to setup the es_systems.cfg file, the RetroPie-Setup wiki has some good resources (default bios folder is /storage/emulators/retroarch/system). As for updated controller config files. You can get them from here. Once you have made all the changes make sure you set the correct permissions and make sure the binaries are executable.